As a college student, finding a job that is at your level of experience, but still interesting, can be a challenge! Fortunately, employers who specifically hire college students, generally understand that students may not have an extensive professional work history, it's important to include other relevant information in the cover letter, including your major/minor, volunteer experience, internship experience, and personal skills that pertain to the position. Here is a sample email cover letter applying for a psychology-related position, working with young children, at a Science Museum. Note that although the applicant did not have direct experience in the field of psychology, she listed her relevant academic work as well as her experience with children. Review this sample cover letter to get started with your cover letter. 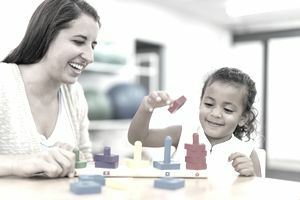 I am interested in applying for the Center of Science Discovery Early Childhood Psychology Position. I am studying Psychology at Boston University, and I have studied how children and adults learn and how they respond to each other and their environments in several senior-level courses. Additionally, I am currently enrolled in a research-based course focused on Psychology of the Family, so I would love for the opportunity to actively apply my new knowledge to the internship. In addition, I absolutely love working with children, so this is a position I would undoubtedly enjoy! I have real-life experience working with children, coupled with academic knowledge as well. I have a lengthy history of working with children of all ages, especially young children. While I enjoy working with all ages, young children are my favorite, and I am personally inspired by their unique sense of curiosity and creativity. Although I love working with kids, my past positions have also necessitated that I work dually with both kids and adults, therefore, I am comfortable interacting with parents and their children, a responsibility highlighted in the position description on your website. I have numerous experience working with young children. I was a summer volunteer at the Sagamore College Child Care Center, where I worked with children in the toddler room and in the pre-kindergarten room. In addition to tutoring children in an academic environment, I was also responsible for conducting stimulating learning activities and developing arts and crafts projects. At the end of each day, I updated parents about their child’s daily progress and his or her achievements of the day. I also chaperoned field trips in which I interacted with both children and parents in different environments. In addition, I have experience as an After-School Care Giver for two elementary-aged children. I was also the primary caregiver during my summer hours. I was responsible for entertaining the children and assisting them with their school work, as well, and one of my duties included analyzing their progress in the form of informal "progress reports" that were well-received by their parents. Also, I routinely interacted with both parents on a regular basis, discussing each child’s individual needs and communicating about the scheduling of daily activities. As a result, I am comfortable with working with parents and children together and ensuring that everyone is happy and safe. I have also taught young children skiing as a certified ski instructor and horseback riding as an experienced equestrian. In both situations, I was responsible for familiarizing parents about safety information and explaining daily routines. Also, in lessons that included entire families, I incorporated both parent and child in the learning experience, focusing on cooperation while making sure everyone was learning while still having a good time. Through all of my prior experiences, I have developed a keen awareness of how to successfully interact with entire families. Once again, thank you so much for your consideration. As a candidate with academic experience in the field of psychology as well as extensive experience working with children, I would look forward to working at the Center of Science Discovery. I look forward to hearing from you.